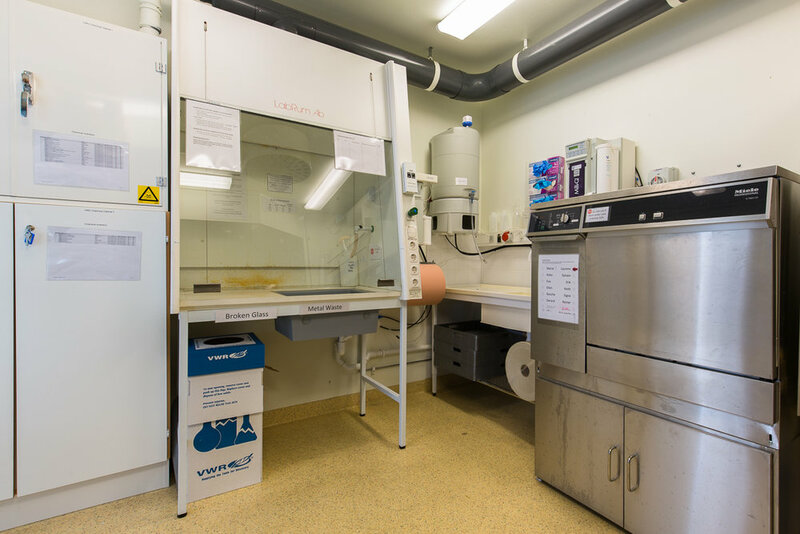 Dish washing and Water Chemistry Lab, 13 and 21 sqm. 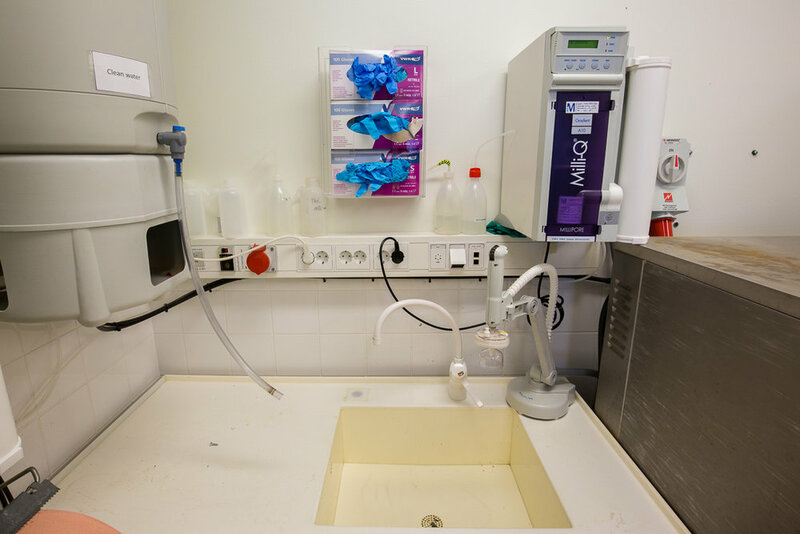 Dish washing room with fume hood and acid fume hood, a ventilated chemical locker, shelves, dishwasher and sink. 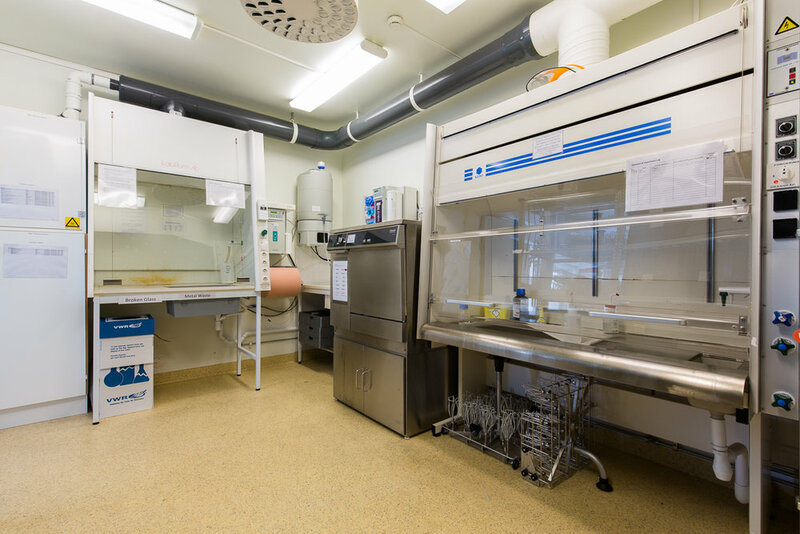 Water Chemistry Lab with clean hood, freezer and refrigerator, UV-spec, sink with soil trap and several work benches.